Leadership, adaptability, value creation. These are the skills necessary for tomorrow’s managers. 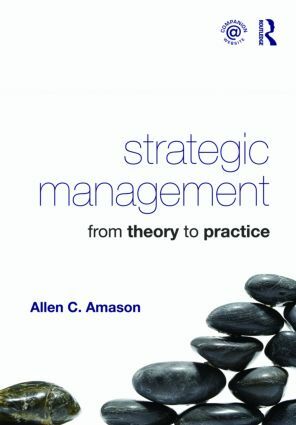 Allen Amason approaches the topic of strategic management with these traits in mind. Rather than simply teaching theory and research, he seeks to communicate to them the fundamental keys to how strategy works. This book is designed to help students think critically and understand fully how to strategically manage their future firms. In so doing, it will enable them to adapt and learn, even as their circumstances change; to apply sound logic and reasoning, even in new and unfamiliar settings. By conveying enduring and fundamental principles of economic and human behavior rather than simply reporting on the latest innovations, this book succeeds in preparing students to excel in the business environment over time, regardless of how it evolves.